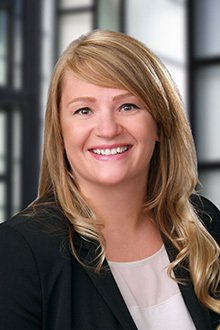 Maren MacAdam is an associate in the Sacramento office of Lewis Brisbois and a member of the Complex Business & Commercial Litigation Practice. Maren handles a wide range of litigation for a diverse client base, including commercial matters, insurance defense, wage and hour class actions and employment litigation representing public entities, businesses, and corporations of all sizes, as well as their management and employees in employment-related lawsuits. Before joining Lewis Brisbois, Maren worked with a law firm in San Francisco where she assisted her team in representing clients regarding matters involving toxic tort, environmental, regulatory compliance and liability defense. While in law school in New York, Maren worked for a small law firm focusing primarily on maritime, insurance and aviation law. Maren assisted in handling complex commercial litigation, products liability, environmental and corporate matters. The firm represented insurers, corporate clients and individuals in all federal and state courts, arbitration proceedings, and before government agencies, regulatory agencies, regulatory organizations and other tribunals. Maren has a passion for advocating for her clients and helping her clients resolve issues in an efficient manner, both from a time and cost perspective.